"Criminals around the globe are getting ever more tech-savvy and there are now countless ways you can get stung online. 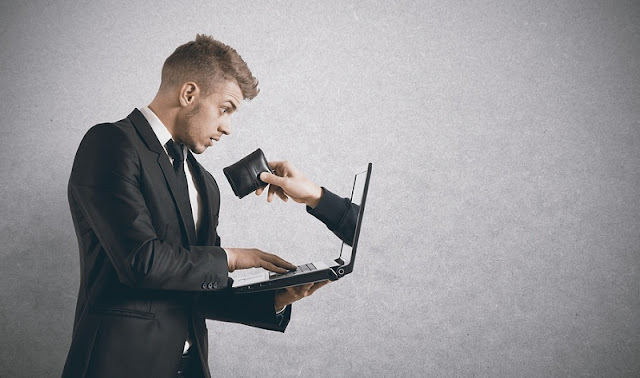 Be alert - here are just a few online scams you should be aware about." You receive an email from "official" representing a foreign agency asking for your help to transfer millions of dollars out of the country. You're promised a cut if you help, but first you must send your account details and some funds to cover various fees. You send your details and never see the promised return. Victims are often extorted for more money or have their identity stolen. How to avoid these email scams? Don't reply to the email. Don't click on any link or open any attachments. Report the scam to either local FBI office or internet crime complaint center. Read more in below infographic. image credit: bigstockphoto.com / infographic courtesy of Whoishostingthis.